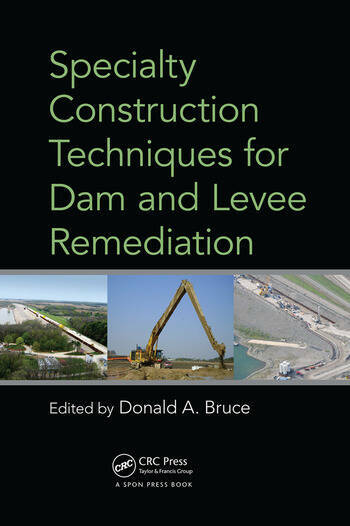 Dam and levee remediation has become more prevalent since the start of the twenty-first century. Given the vastness and complexity of the infrastructures involved, keeping up with maintenance needs is very difficult. Major surges in repair are usually triggered by nature’s wake-up calls, such as hurricanes, floods, and earthquakes. The challenge has been to develop methods that ensure safe, effective, reliable, and robust solutions for current and future remediation issues. Specialty Construction Techniques for Dam and Levee Remediation presents the state of practice in North American dam and levee remediation as it relates to the use of specialty geotechnical construction techniques, such as anchors, grouting, cutoff (diaphragm) walls, and deep mixing. 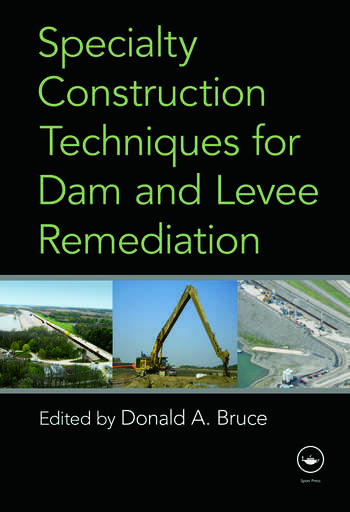 The book focuses on the actual construction processes, describing design and performance aspects of remediation where appropriate. Chapters deal with the application of drilling and grouting methods, methods to install mix-in-place (category 2) cutoff structures, excavated and backfilled trenches (category 1), composite cutoff walls, and stabilization using prestressed rock anchors. The book also provides a comprehensive guide to dam and levee instrumentation, covering planning, operating principles, data management, staffing, and automation. As an educational and salutary example of ineffective efforts, the final chapter presents a case history of a series of remediations performed on a single project, which ultimately proved unsuccessful. A wide range of methods has been developed in response to the challenges that arise in the dam and levee remediation arena and the need for a competitive edge. These new methods are designed and monitored using state-of-the-art techniques, giving rise to the emergence of new intensity and initiative in this field. This book captures this transformation by examining the theory and practice of contemporary remedial techniques, using recent U.S. case histories to provide knowledge and inspiration to readers, both in North America and around the world.